Details of a 2015 private “informational” meeting emerged during sworn testimony from Metro Councilman Colby Sledge, who appeared this month before the Council Board of Ethical Conduct. The meeting raises questions on the depth of early communications between the mayor’s office and leaders Cloud Hill, which has been roundly criticized by preservationists who want Greer to be reclaimed as an accessible park. “In late 2015 I was called into a meeting with the mayor’s administration and various department heads regarding a proposal from members of what became the Cloud Hill team. The Cloud Hill team discussed their proposal how the Greer Stadium property could be re-developed,” Sledge testified before the Metro Council Board of Ethical Conduct. “The Cloud Hill team discussed their proposal for how the Greer Stadium property could be redeveloped. . . I was invited to this meeting because I am the district council person in which Greer Stadium sits,” Sledge said in further testimony. This meeting took place over a year before the official bidding process opened, and has unleashed accusations of conflicts of interest, rigging the bidding process, and outright collusion between Mayor Barry’s office and the developer for the Cloud Hill proposal, who won the bid. WSMV Channel 4 reported that Sledge faced questions about having a conflict of interest because he until recently worked for the public relations firm managing the Cloud Hill account. Sledge said he did not work on the account. That letter seems to be contradicted by his most recent testimony. Combined with the possible conflict of interest, Sledge’s involvement in the Fort Negley deal is facing a lot of scrutiny. Allegations of a conflict of interest arise from Sledge’s previous employment. Sledge is fighting an ethics complaint that alleges a conflict of interest because of his former employment at the public relations firm McNeely Pigott and Fox, which represents Cloud Hill. The complaint was filed by Devinder Sandhu, who was part of a different development group, Nashville Adventure Park, which was among several proposals that lost out in the bidding process. “The Mayor’s representatives met with all of the interested parties as they were exploring various options for redevelopment of the site. 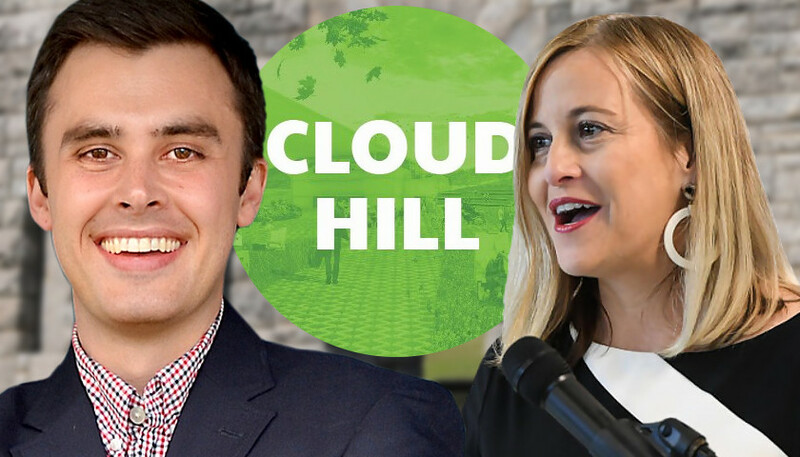 The inference in The Tennessean that only Cloud Hill was afforded the opportunity to discuss potential ideas for development before the process was begun is not an accurate representation,” a source familiar with the development process tells The Star. The entire process of judging the bids has been subsequently called into question. In an email, former Purchasing Agent Jeff Gossage said he appointed the seven members of the judging panel, which normally have 3-5 members. The other four judges of the Fort Negley RFQ were: Tommy Lynch, former Head of Parks, Doug Sloan from Metro Planning, Zach Kelley from Finance, and Audra Ladd, Barry’s Manager of Small Business/Creative Economy. “The Purchasing Agent appoints the evaluation team but the names are recommended by multiple key stakeholders,” Gossage wrote. However, the only people who recommended candidates who became judges were Colby Sledge and Rich Riebeling, Barry’s COO. Sledge has been at the center of several recent controversies. The Star reported on Sledge’s efforts to replace Columbus Day with the politically-correct “Indigenous People’s Day.” Sledge is also married to the co-director of the George Soros-funded TN Immigrant & Refugee Rights Coalition (TIRRC), who work tirelessly to promote Amnesty for illegal immigrants.